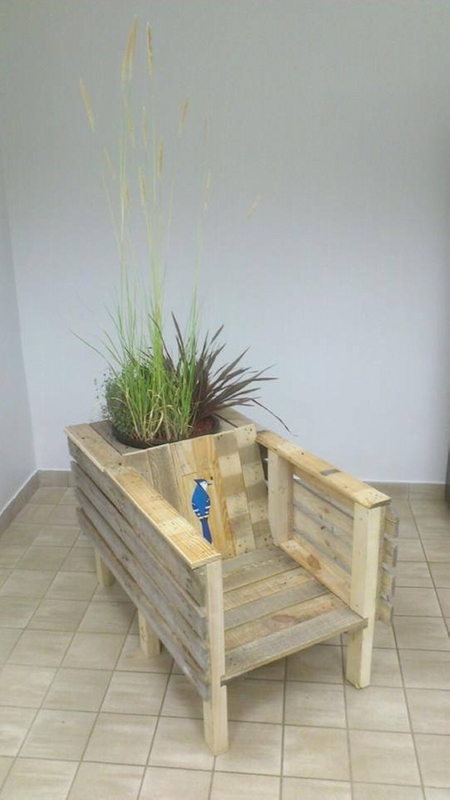 Wow, this idea of pallet chair with planter is fascinating me a lot. Just imagine, if a mere idea could sound so pleasant, what would be the feel towards the end product? Certainly it would be pretty great man. 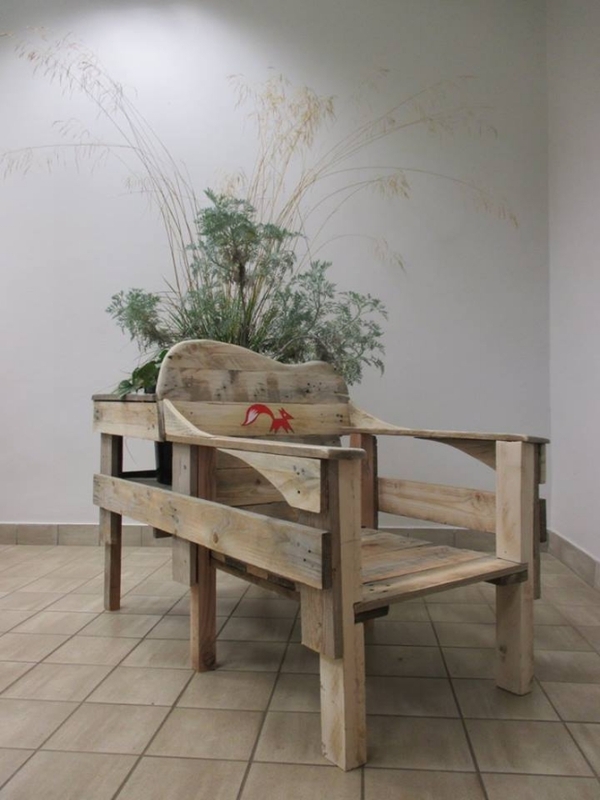 we have made a number of different pallet wooden chairs using the raw pallets. 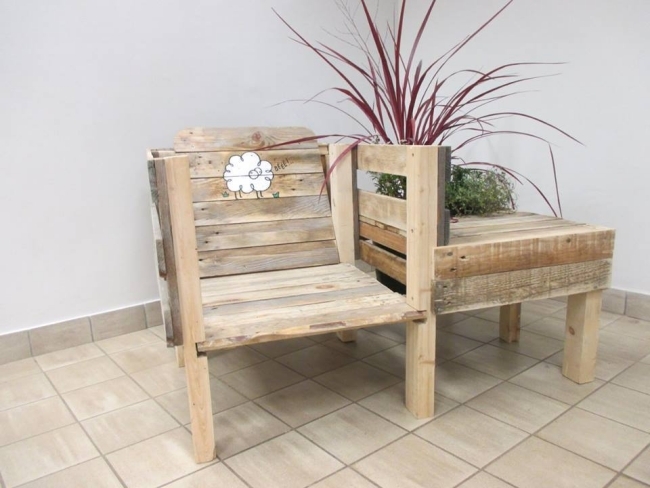 But this idea of pallet wood chair with a planter is pretty unique to work on. Sometimes we work on some plans which might sound a bit insane to some who are not pallet fanatics. But I always name it as pallet wood extravaganza. Pallet wood extravaganza is something that when you are having bulk of wooden pallet In your backyard, then you just go on making such insane ideas. But for me they are never insane at all. They mean a lot to me. Like this new idea of pallet wood chairs with planters. This is just a great happening when you are turning a simple chair into a special chair with a very smart additional feature and that is a planter. It is great feeling to have the greenery right behind you are in a side of the same chair you are sitting on. 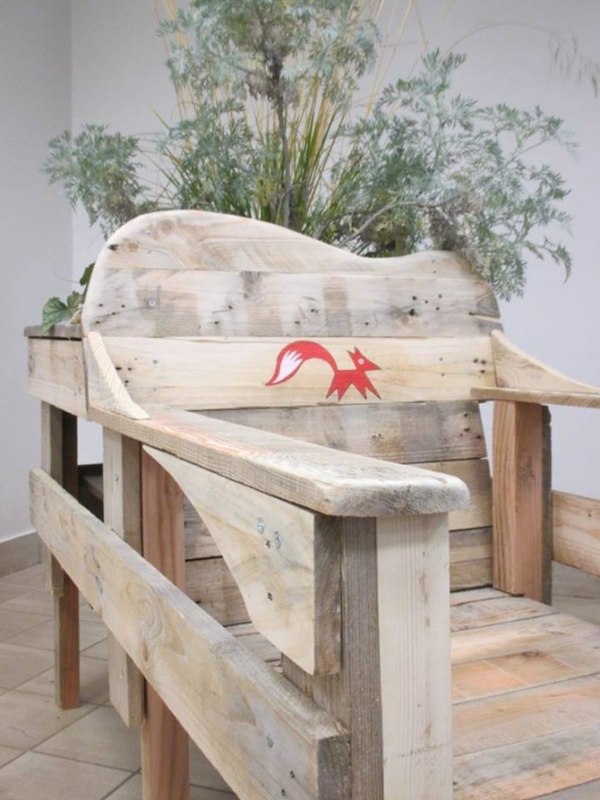 Look at this huge pallet wood chair, it has got a huge box shaped planter right in the back which is very well designed for planting purpose. 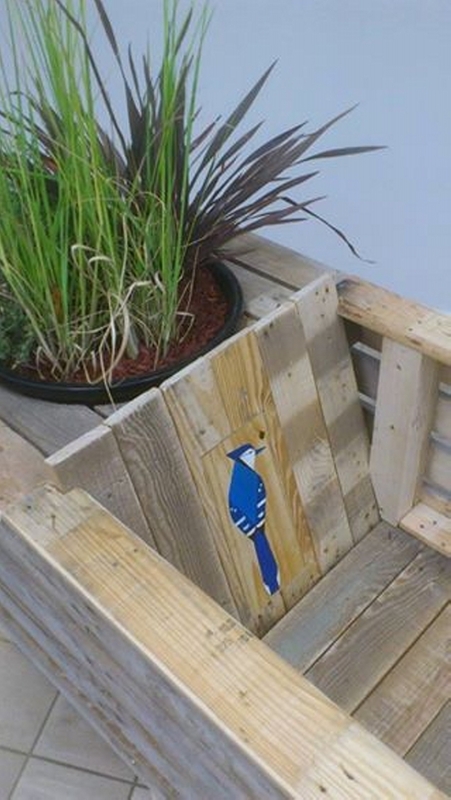 The planter is quite adjacent to the back of the pallet wood chair. The design is pretty perfect for indoors.